Linn Audio model Lyceum speakers ($19,500) has a pair of 12-inchers and a 1 7/8 compression horn. Sensitivity is 96dB/W/m and response is from 25 Hz to 20 kHz. 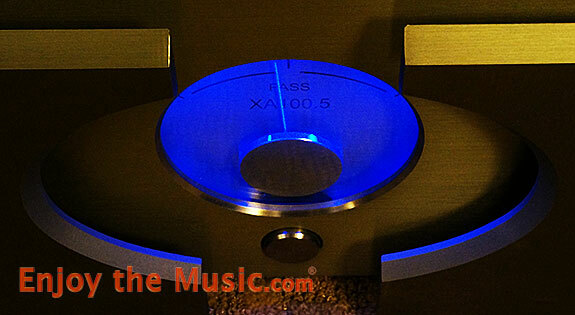 They were being driven by the powerfully persuasive Pass Labs monoblocks.